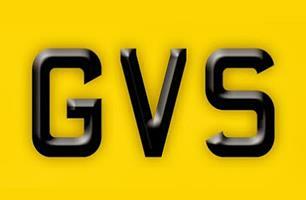 At GVS we offer two core services: GVS Cleaning and GVS Valeting. GVS Cleaning, provide experienced and reliable cleaners for all aspects of domestic and commercial cleaning. We specialise in carpet and upholstery cleaning. Our powerful wet vac can make your carpets and upholstery look brand new, removing spills, spots and stains, as well as neutralising smells and sanitising. Our fully trained, uniformed, DBS checked cleaners work in pairs and provide all cleaning materials and equipment. The domestic cleaning team can help with jobs from one-off to regular home cleaning, housekeeping and ironing. We can help give your home a deep clean, move in/out clean, end of tenancy clean or after builders clean. We also offer leather cleaning and maintainence. The commercial cleaning team are on hand to help your business whether it be offices, retail units, holiday cottages, tenancy, construction and so on. We offer a range of mobile valeting services to suit individual needs whether it be a simple wash for your family car, full valet for your caravan or motor home, or van, regular taxi and business work. We take pride in our work and only use the best products on your car. We are 100% committed to customer satisfaction, provide a high quality services and that’s why 90% of our customers continue to use our services on a regular basis. We will travel to your home or workplace throughout Northumberland and Newcastle Upon Tyne. Valets are quoted individually on size, condition and distance of travel. Please get in touch for a free no-obligation quotation.